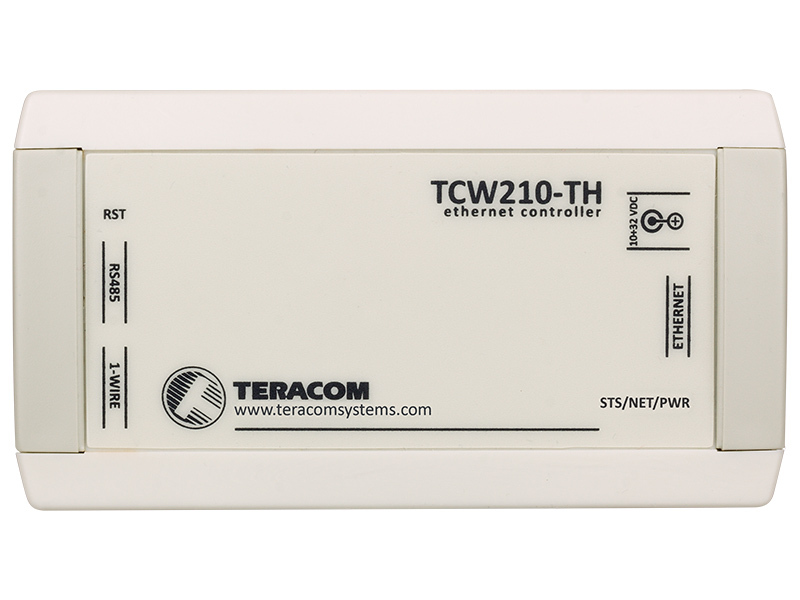 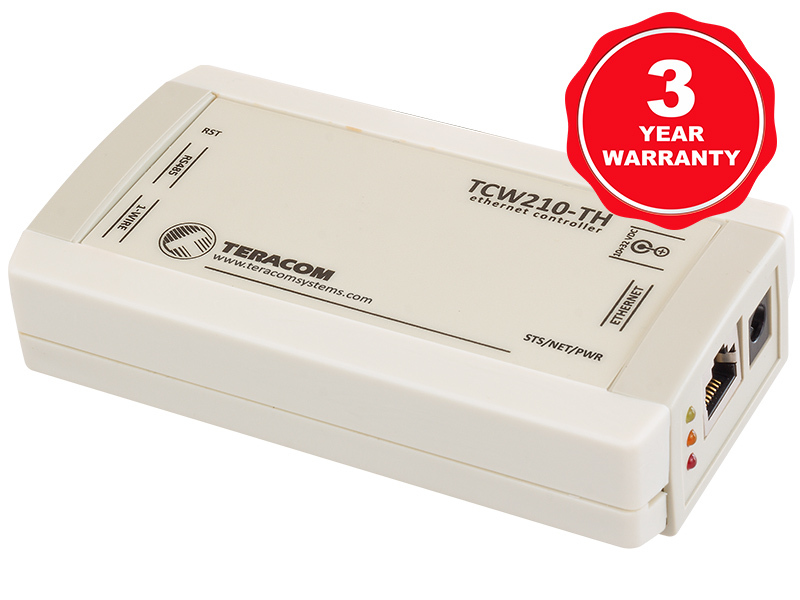 TCW210-TH supports temperature or temperature-humidity sensors. 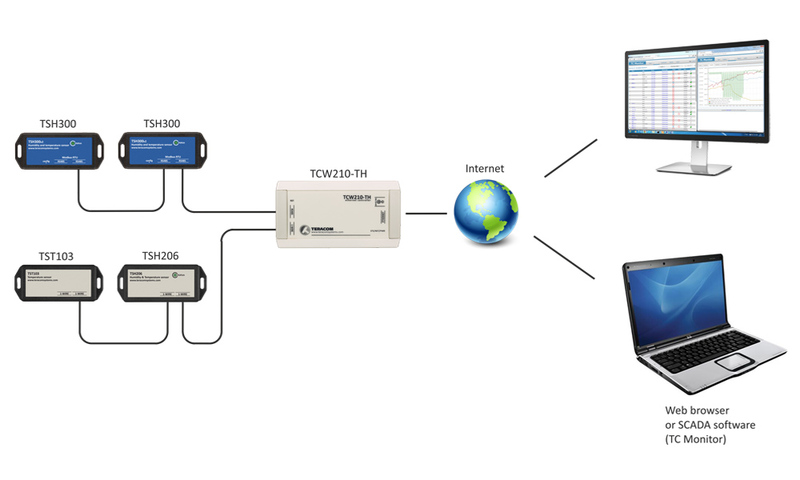 All they can be connected either to 1-Wire interface or to more robust MODBUS RTU over RS485. 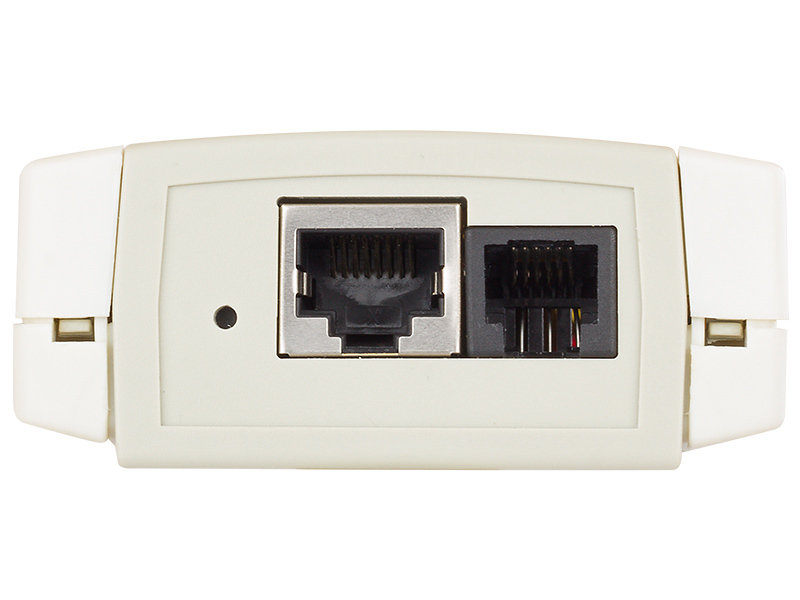 The maximum number of sensors is 8 and it is irrelevant which of the two interfaces will be used.